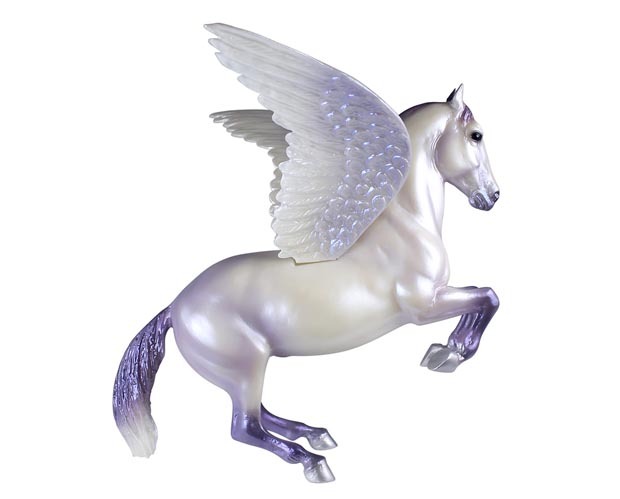 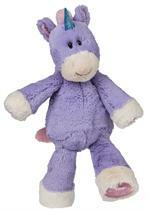 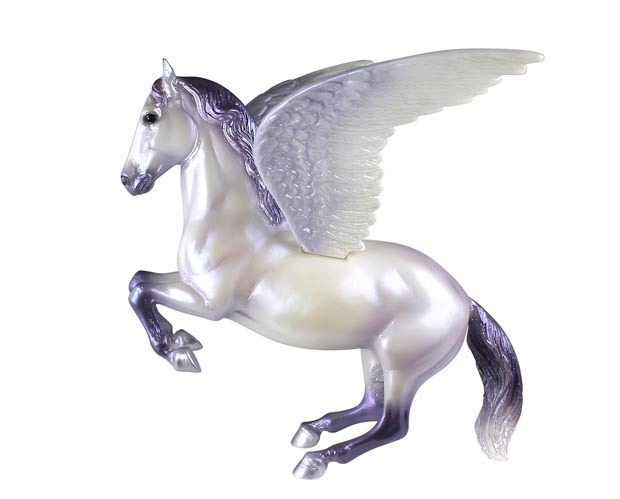 Cosmus from Breyer Model Horses, is a beautiful Pegasus with a pearly, lavender coat that shines as brilliantly as the constellation of stars named Pegasus. Pegasus, the mythical winged horse, is a beloved figure in Greek mythology, associated with thunder and lightning and known as a symbol of wisdom and inspiration for poetry. 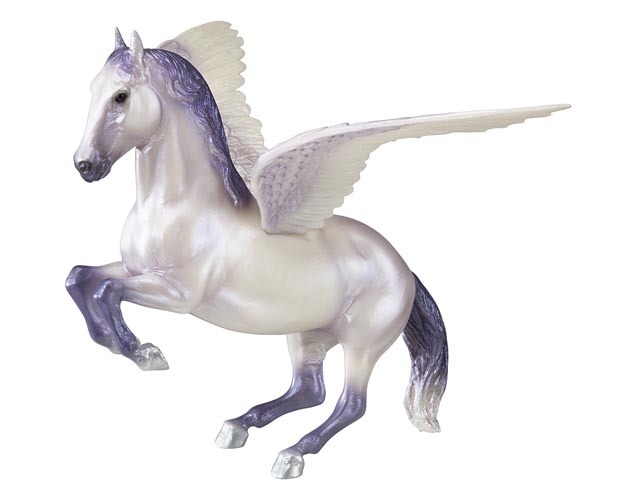 Cosums is captured in the Breyer model #209 which began as a Lippizzaner stallion mold, with the wings added in 1984. 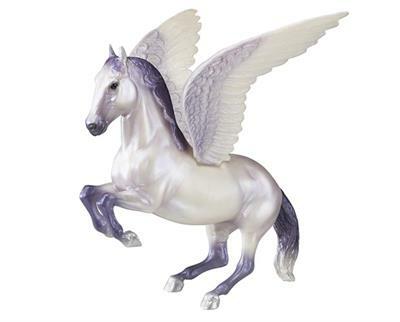 Originally sculpted by Chris Hess.